This episode of Life Stories, the podcast where I interview memoir writers about their lives and the art of writing memoir, began as an assignment for Maximum Shelf, a sponsor-supported segment of the Shelf Awareness newsletter. Once I started reading After Visiting Friends, in which Michael Hainey reveals how his life was affected by the unanswered questions surrounding his father’s death and how he determined to uncover the truth, I knew that I wanted to share this book with Beatrice readers as well. So I’m grateful my editors at Shelf have allowed me to present this version of my conversation with Michael, which took place in a conference room down the hall from his offices at GQ (where he’s the deputy editor). There’s a lot of great stuff in this conversation—about how the truth doesn’t always bring you closure, about the perseverance to see a project through over nearly a decade, and about how the fundamentals of reporting are the fundamentals of good storytelling, among other things—but I’ve kept the central mystery intact, because, really, you need to discover it for yourself, through Michael Hainey’s voice. And I hope you will! 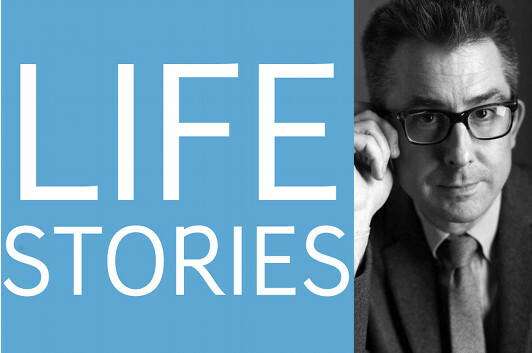 Listen to Life Stories #22: Michael Hainey (MP3 file); or download the file by right-clicking (Mac users, option-click).